Fujifilm has taken the best elements from two popular camera lines to create a vintage-like shooter with a modern twist. 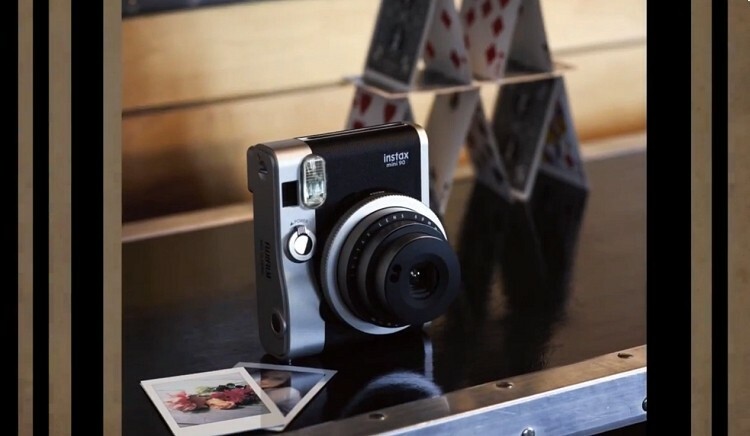 The Instax Mini 90 Neo Classic is a higher-end (and more grown-up) version of the Instax brand originally marketed to children and young women – often sporting colorful designs or pop culture icons like Hello Kitty. The camera shares design elements from the popular X series line of digital cameras although the Mini 90 is all analog. You might have thought that digital cameras all but gutted the instant camera market more than a decade ago – and you’d be right. Fujifilm saw sales of instant cameras drop by 90 percent in 2002 and Polaroid filed bankruptcy twice since 2001 but even still, there remains a market for those that desire instant gratification. The company expects sales of instant cameras to surge by 25 percent this year and maintain at least 20 percent growth in the following year. As photographer Mikiya Takimoto puts it, knowing that film costs money forces shooters to give thought to each shot taken. When you mess up, you work that much harder the next time. Masato Yamamoto, general manager of Fujifilm’s photo imaging products division, added that film yields an authenticity that is often missed in a digital world. The Polariod-like Mini 90 features 10-second exposures, the ability to mesh multiple exposures into a single image and shutter speeds of up to 1/400 of a second. It’ll go on sale for about ¥20,000 in Japan starting September 20 and $210 in the US next spring.